Paul Keppel enjoyed studying photography at GCSE and A Level, back in the days of film. It wasn’t until 12 years later, whilst teaching a ski season in Switzerland, Paul considered making his hobby into a profession. 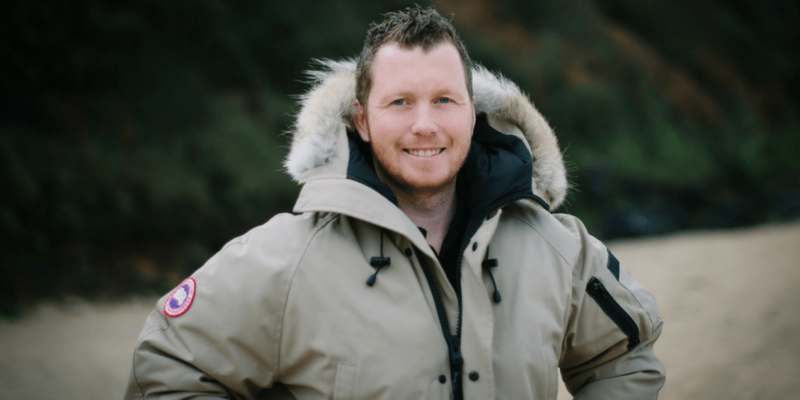 Encouraged by friends, Paul bought an entry-level camera, a couple of lenses and practiced building his photography skills by shooting landscapes, documentary photos and a couple of weddings. What’s your favourite part of being a photographer? I love meeting new people and visiting new places. What better way than at weddings where everybody is happy, dressed in their best outfits, visiting amazing venues? Wedding photography is important because it will capture your day, from moments you do not see to the memories you do not want to forget. The photos will document a beautiful story of your special day – a day you can relive with family, friends, your children, and grandchildren. Photos you will have to keep and treasure for ever. With breath-taking views, and stunning interior, The Greenbank is a pleasure to photograph. It boasts a unique pontoon which when there is a sunset behind it, it makes an amazing backdrop for beautiful dramatic pictures. My favourite photo is the lead image on my homepage banner. This wedding party consisted of the bride and groom, myself (as one witness) and the taxi driver (as the other witness). 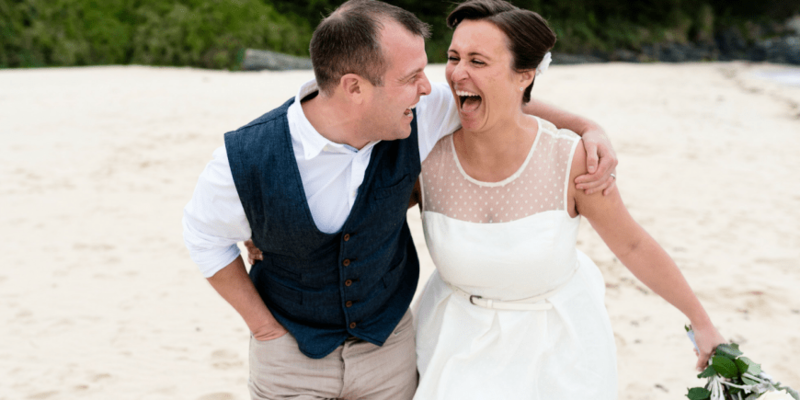 The couple were married at a registry office and headed to Carbis Bay for some photographs on the beach. 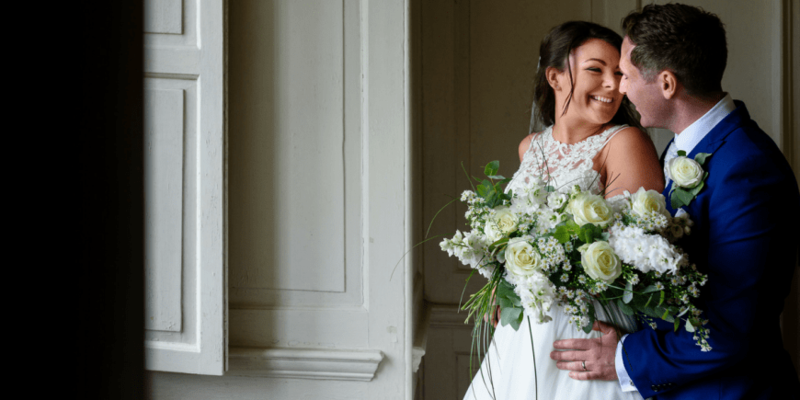 This wedding was done on the smallest of budgets with the bride and groom going for a swim in the morning and the bride picking wild flowers from the sand dunes and made into a bouquet for her wedding in the afternoon. There was so much chemistry and love shown between them I could have carried on taking pictures all day. It just goes to show that you do not have to spend thousands on your wedding day. Do not worry about the weather – blue skies and sunshine do make for lovely pictures but some of the best light is when the clouds are out. Rain or stormy skies can make for cool dramatic photos and you will have just as many amazing shots of your wedding come rain or shine. If the couple are looking to book I will always make sure I’m free to meet up for a coffee where I bring along some of my wedding albums as it’s always nice to look at photos in person rather than on a screen – especially to have something tangible in your hands. A high percentage of couples that book me are from out of the county so I offer a Skype call as an alternative. I keep the process as simple as I can, so everything is completed online. I have an online booking form and use a signable software for the contract. The final process is the payment of the booking fee and the date is all secured in the diary. 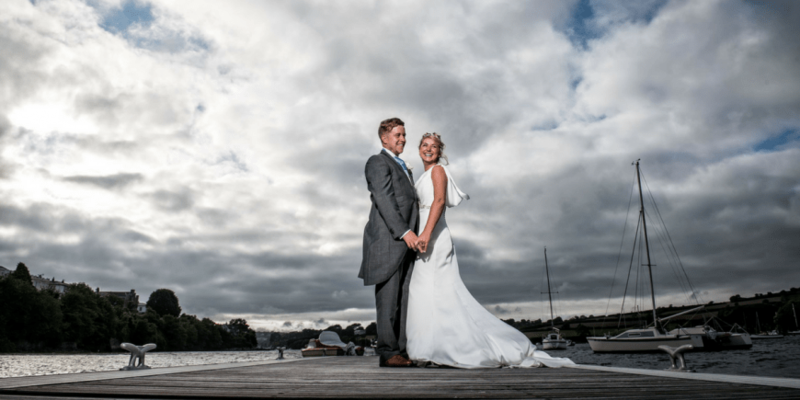 The Greenbank Hotel is a beautiful wedding venue with stunning views over Falmouth, it has a unique pontoon which allows bride and grooms to arrive via a boat. I have photographed many weddings there and have always found The Greenbank boosts an amazing team headed by Jane their Events Manager. They take care of their guests and make sure the bridal party and people like myself who are working at the wedding are well looked after making the day run smoothly and stress free. 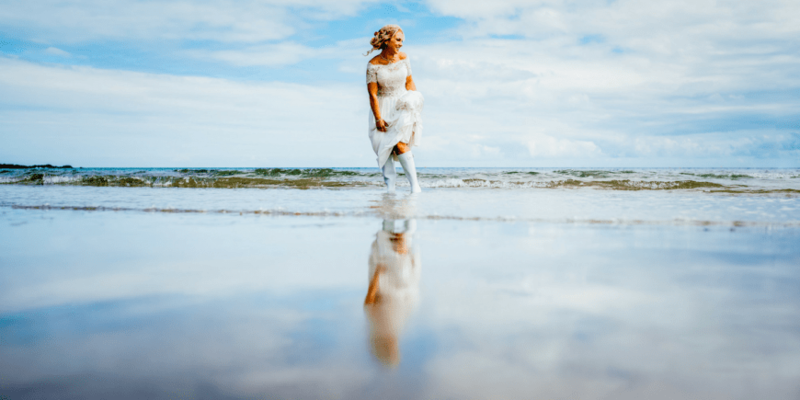 Your wedding photographs are how you are going to remember the day for the rest of your life, so you need to pick someone you like as a person, has the style of work you like and is the best you can afford. I put 100% into every wedding I photograph. 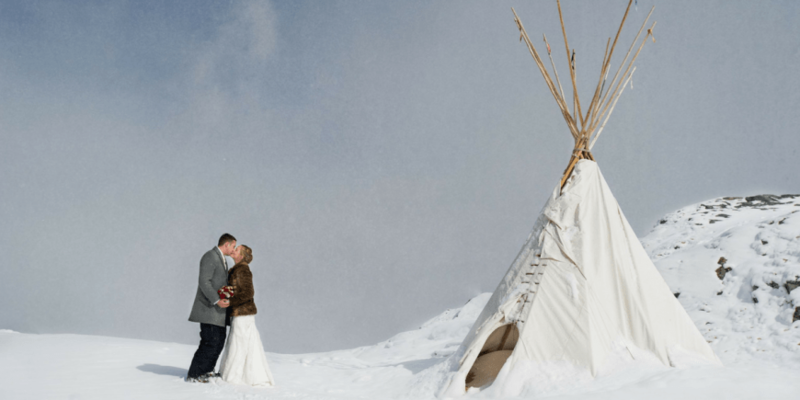 I shoot in a relaxed, natural way, documenting the magical day from start to finish. 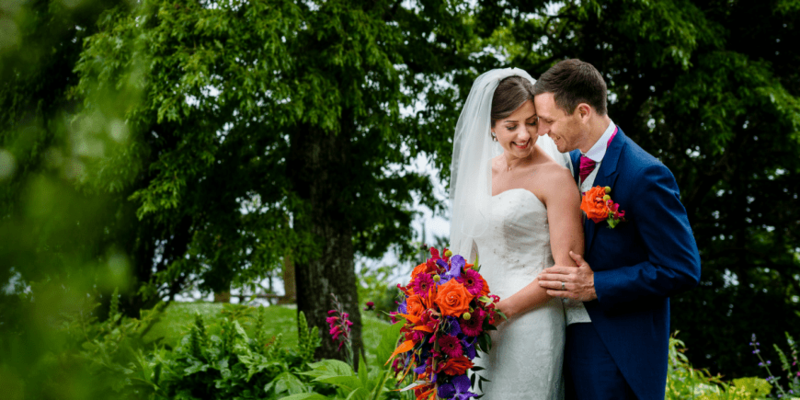 I take extra care in planning a timeline a few days before the wedding with the couple so I know exactly where to be and at what time to capture the best images to give you a beautiful story of the day for you to remember. You can find more information about Paul and his photography by clicking here.